Many do it yourself home renovators are unafraid to take up a hammer and saw—but balk when it comes to electrical repairs. Doing your own electrical work can be a thankfully clean task that yields to logic and science—a departure from other types of remodeling work. Even if you love doing your own home remodel work, from time to time, you will want to hire professionals. There is no shame to this at all. Pros do this work every day. Jobs that require a steep learning curve for you are second nature to them. Not only that, you do not have enough time to do everything. Do it yourself electrical work is different from painting or flooring, though. Power is involved. Even when you think you know what you're doing, you might get shocked. Combining amateurism with a cavalier attitude can be a dangerous thing. Here are some reasons you might want to do your own electrical repairs. It's easy to find people to replace your windows or install siding. They practically fall out of the sky. But try finding an electrician when you need one. Along with plumbers, a good electrician—especially one who has time to take on contract work for a do-it-yourself renovator—can be hard to find. If you're intent on saving money on remodeling costs, the first place to start is with highly skilled trades like electricians. The downside of this, of course, is that "highly skilled" will come back to haunt you. There is a learning curve associated with electrical work that you don't find in something like demolition work. Compared to drywall installation or demolition—or any other type of renovation work—electrical work is clean. You get to work in a clean environment for the most part, unless you are in a crawlspace or attic. Compared to most DIY work, it's breathtakingly neat. That said, there is the possibility of peripheral work that isn't so clean: breaking into drywall to access cables; getting into messy ceiling cavities; crawling around in basements and crawlspaces. There is nothing squishy about electrical work. It's all based on tried and true rules and methods—all very logical. You have books and tables to guide you along, and if something isn't working, there is a very real reason why it isn't working. You can not—and should not—improvise your electrical work. There is no duct-taping, construction-gluing, tweaking, or fudging of electrical work. So, if you are a rule-follower, electrical work might suit your style. Is electrical work safe? With proper precautions, electrical work is not dangerous. Complacency in conjunction with electricity is dangerous, though. Consider this: circuits can safely be worked on as long as the circuit breaker is turned off. With that circuit broken, electricity cannot flow to the light or wall heater or outlet that you happen to be working on. Many do it yourself home renovators are put off by the idea of probing in the electrical service panel and installing new circuits. Yes, contact with the lugs within the service panel is a very serious business. But service panel work is only one aspect of electrical work. 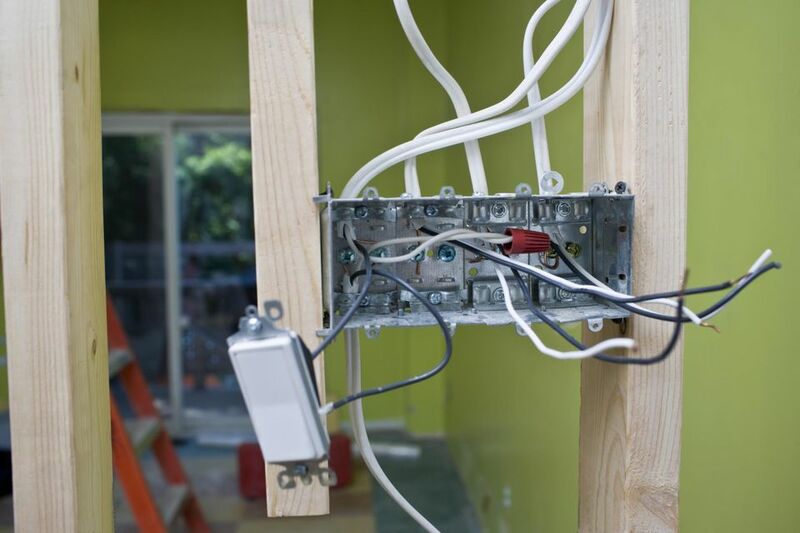 The heavy lifting of running new circuits can be done safely by DIY renovators, and if they so choose, they can hire an electrician for that last job of connecting to the service panel. Or better yet, get educated on the service panel, and you can safely do the work yourself.